Just completed for the showroom is this 20″ Daffodil Turban shade on the Twisted Vine base. 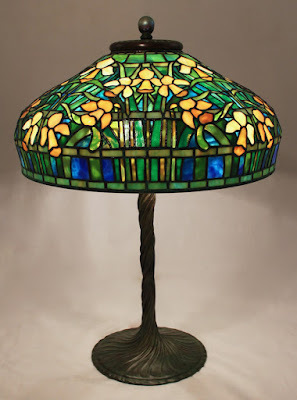 This Tiffany Studios’ design has a stylized naturalism which represents the best of the Tiffany floral shades. The flowers, while “growing” on the shade as if in a garden, are bookmarked in such a way as to create an undulating garland of flowers around the shade. 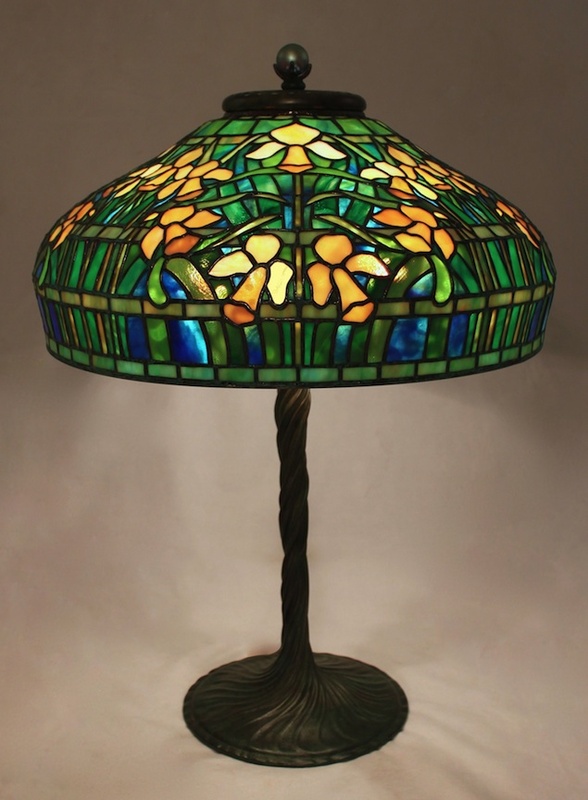 This lamp is currently available for purchase in our showroom. 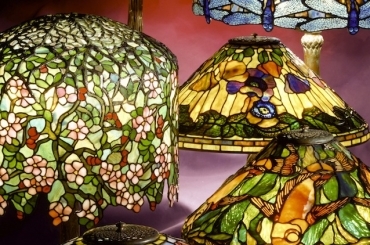 The delightful shade is rendered in rich, jewel tones of yellow, blue, and green. 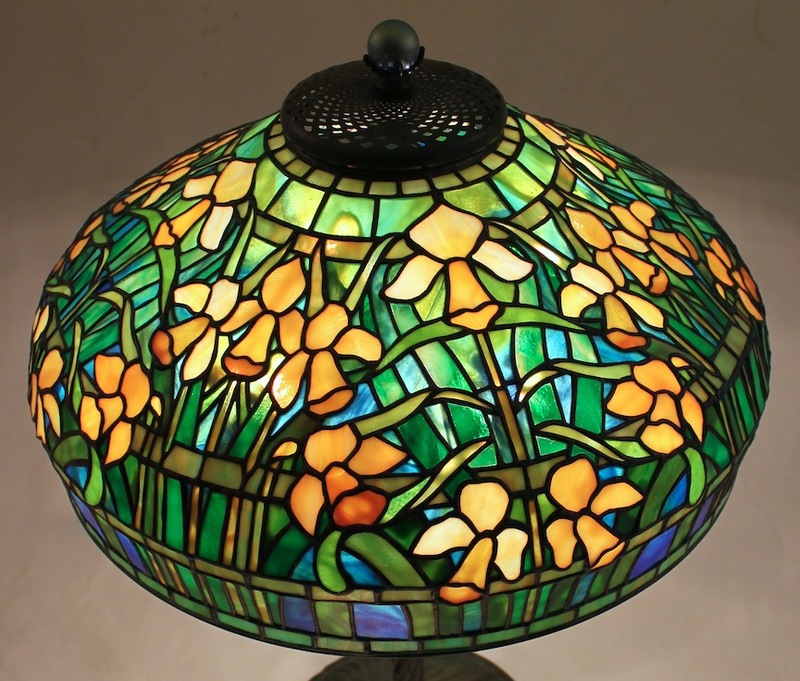 The lively coloration gives the flowers the freshness and vitality which daffodils exhibit in the springtime.